Yesterday we visited Sremski Karlovci, a small town just outside of Novi Sad. This is the heart of the Vojvodina, a region in northern Serbia that is a rich agricultural region and very Hungarian. In the photograph you see the round yellow building to the right. This is the Chapel of Peace. On this spot in 1699, the Ottomans surrendered to the Austro-Hungarians on my wife’s birthday, January 26. The Turks controlled Belgrade and much of Vojvodina for years, but in 1697, a coalition of European armies came together to attack them. The Turks were hunkered down in the big fort in Novi Sad, Petrovardin, and had left to conquer another settlement north of the city. They ran into difficulties and attempted to flee to their winter headquarters in the Romanian city of Timisoara. The Hapsburg Army was led by a Frenchman, Prince Eugene von Savoyen (below) was the hero. 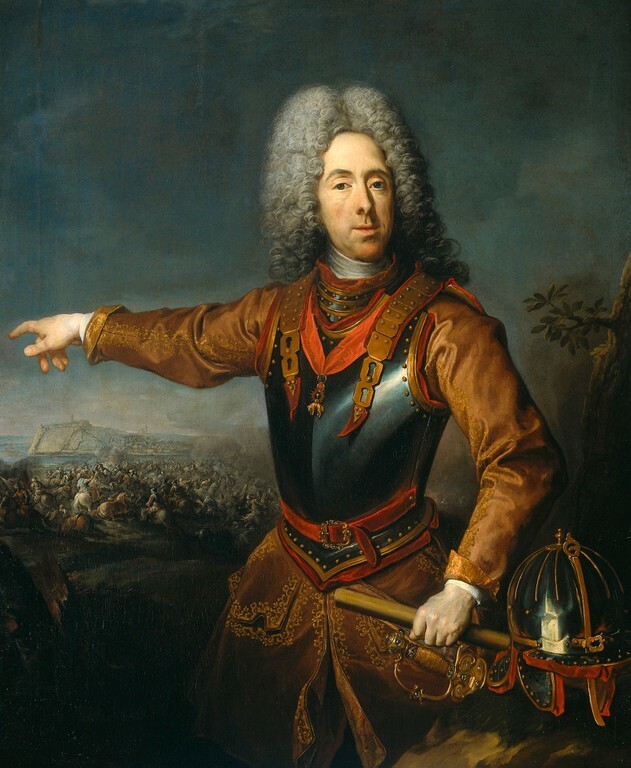 He had protected the Empire from the Turks in 1683, when they reached the farthest west they got, Vienna. Prince Eugene - Defender of Vienna!!!! The decisive battle that led to the Turks leaving Vojvodina and agreeing to peace terms at the spot above was on September 11 1697. Ironic that an Islamic army would have a serious defeat on this day. As I wrote, the Sultan was trying to get his army back to safety in Timisoara. 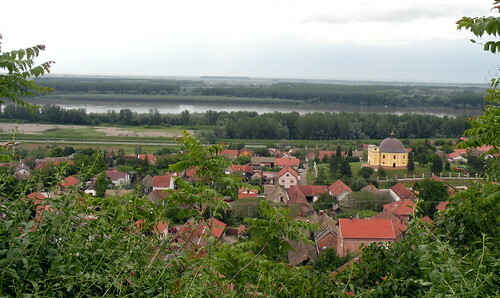 They were crossing the river Tisa, near the modern Serbian city of Senta (then called Zenta) when Eugene’s army surprised them. It was a complete massacre of the Ottomans. They were trapped on a bridge and were totally unprepared. With a loss of only 500 men, the Hapsburg forces killed 30,000 Ottoman troops. There were many Serbs in the 70,000 strong force and they must have taken great pleasure in getting revenge on the Ottomans, who at the time, controlled Belgrade. In the loot, were the Sultan’s royal treasure chest, the Ottoman state seal, and most interestingly, the Sultan’s Harem. I wonder what happened to those poor girls. This eventually led to two years later, Ottoman officials going to Sremski Karlovci and signing over huge parts of territory to the Austro-Hungarians. They gave up Transylvania, Hungary, and parts of Croatia. On the day of the signing, there was no chapel but a round tent. Legend has there were four doors so the parties involved in the signing could come in at the same time, and perhaps, the term “round table” came into use in diplomacy circles. The Brits and Dutch were there as neutral guarantors of the treaty. The ambassadors of these countries still mark that day with a ceremony on the anniversary of the treaty signing. 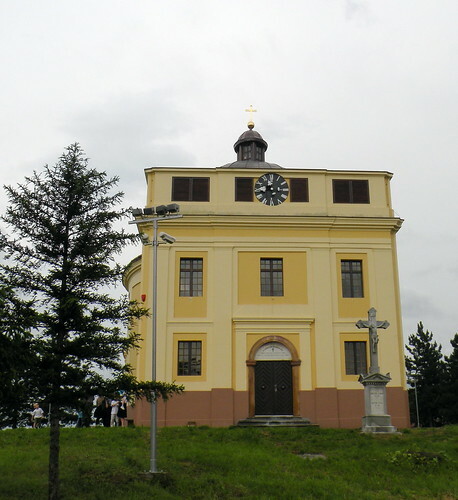 Later, a Catholic church was built on the spot and recently restored. On the day we went, it was locked. A tour guide from the town was showing a group of American tourists the chapel and was complaining that the Catholic church would not allow town officials to turn it into a museum. It is a nice little town with a beautiful square, an excellent private high school, and a few wine cellars, so we’ll probably be back.